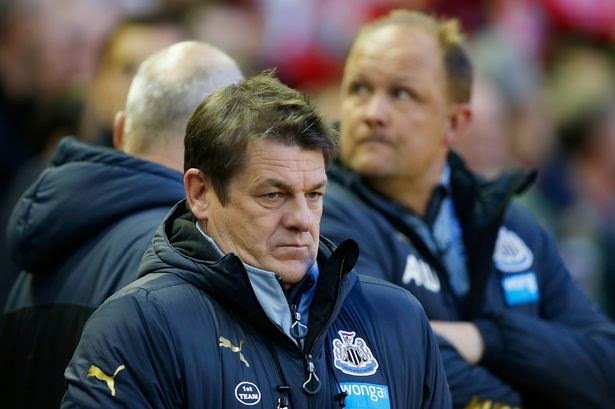 Home » John Carver , Mike Ashley , Newcastle United , Newcastle Upon-Tyne , protest » Would You Boycott Your Club? What does it take for a seemingly uncaring football club owner to notice the discontent among his clubs support? The answer in nearly all cases is when it affects his bottom line. 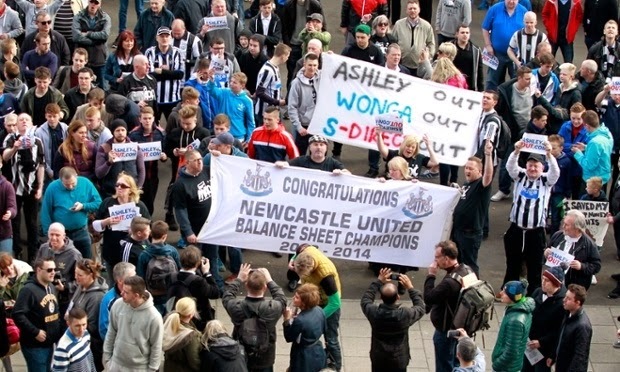 As they stagger along to the finish of another lackluster season, some Newcastle United fans are desperately trying to get absentee owner Mike Ashley's attention through an organized boycott. Amid much talk before the fixture against Tottenham last Sunday that fans should avoid St. James' Park, and despite the hopes of the organizers that up to 16,000 supporters would stay away, it's estimated that only 2,500 to 3,000 didn't take up their seats. It could only be viewed as a crushing disappointment for the fans that wanted to send out a strong message of their frustration. 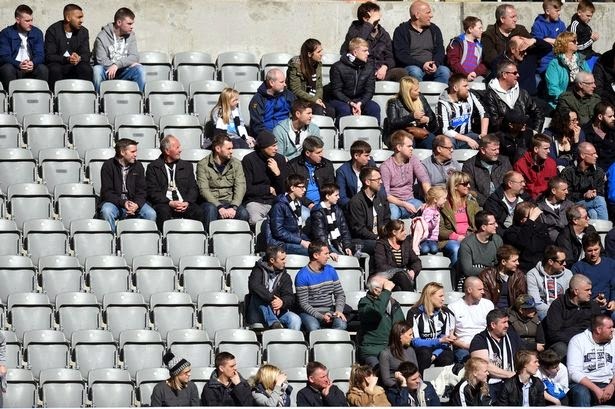 In order to force an owner like Mike Ashley to reconsider his position it will take more empty seats than that, and it will certainly take more than airing grievances on social media. But how hard must it be to turn your back on the club you love, even if it is for the greater good? There are undoubtedly Newcastle United fans that have attended every home match for a decade or more and to get them to stay away, no matter how upset they are, is no easy task. Some of them no doubt feel like they would be abandoning their club and not sticking with them through thick and thin, despite the fact that most of what they're seeing right now is thin. While others will continue to go out of habit, because that's what they do on a Saturday they meet up with their friends and watch their local side, no matter what the football on display is like. Unrelated to Newcastle, I asked a good friend once about why he continued to renew his season tickets for the club he supported, despite an ownership group that gleefully exploited it's supporters, a continually losing team, a hapless manager and absolutely no hope of improvement. He said that despite everything he wanted to support football in his community and wanted to be there when things eventually turned around and times were good. I'm sure a lot of Newcastle fans feel like that as well. It's a massive club and you have to figure that at some point Ashley will sell the club on, hopefully to investors that will put the required funds in to make the Magpies competitive again. Like most sides there are 'loyalty points' for renewing a season ticket and if you let yours slip in the bad times, you may not get one back if and when times change. Despite all of this, in order to affect this kind of change, a message does need to be sent out that the supporters aren't happy and won't continue to plow cash into the club for a mediocre return. So a mass boycott or a series of well attended protests might be their only course of action.